It’s that time of the year again, sending GoDaddy some more money. I had been on a free 2 year trial of email hosting and when I got the bill I had to decide how much I actually wanted and used my rick@ar180s.com email. The answer was not enough to pay what they wanted. I have closed my account and no longer have access to it so if you have emailed me recently and have not gotten a response please try again. I have redirected the contact form to send emails to my main email address. 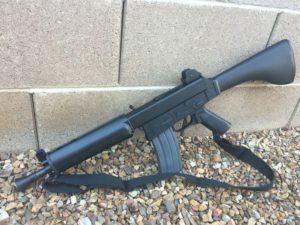 If you have my old ar180s.com email saved please change that to rkelley91 at gmail dot com. Some of you may have noticed that I would often respond from that email anyways when you would contact me. This should also keep more of the emails getting to me as I often found your inquiries in my spam folder. I must say that even though I don’t post as often as I used to there are still emails coming in behind the scenes with AR180 questions and comments and I thoroughly enjoy them. Keep it up and Happy Hunting for that next AR180 gun or accessory. 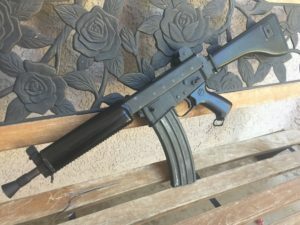 Previous PostPrevious SAR-80 Kit Build – Finished?